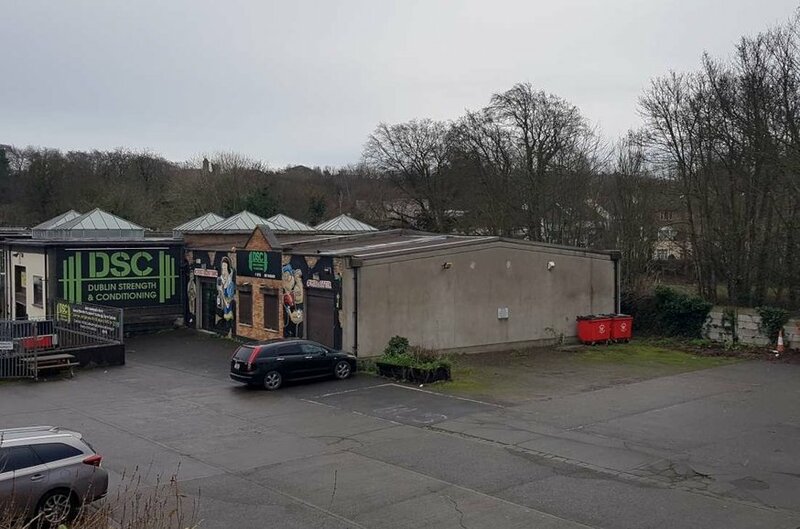 Lucan village main street has been substantially upgraded and redeveloped in recent years to a very high standard and offers every modern amenity including new residential developments offering stylish modern residential accommodation. The M50 and N4 routes provide easy access to the city centre and indeed all parts of Dublin with Dublin airport only 15 minutes drive. A frequent QBC bus service operates into the city and Liffey Valley Shopping Centre. This high profile property extends to approximately 0.2 hectares (0.5 acres) and is mainly regular in shape. 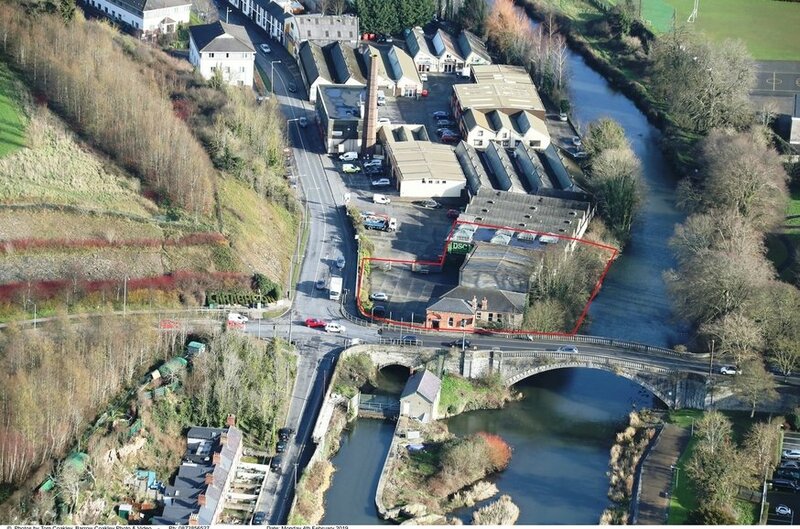 The site is bound by the River Liffey, the Lucan Road and Lucan Bridge. 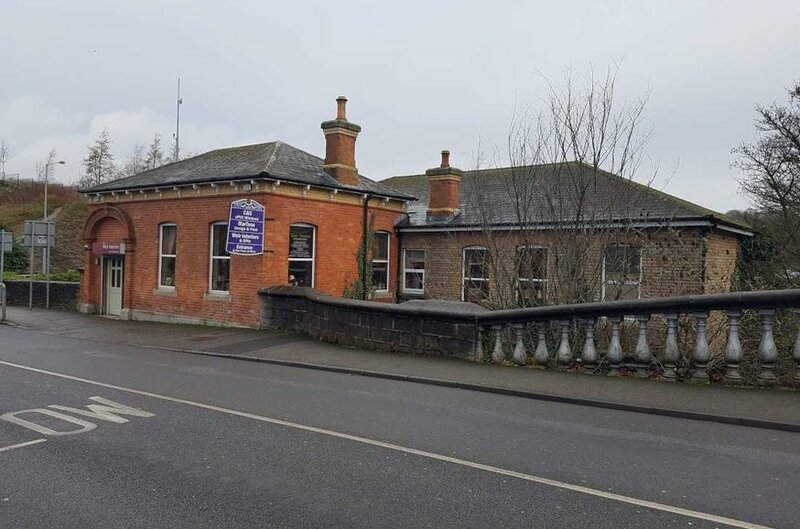 The buildings briefly comprise a two storey red brick property fronting Lucan Bridge and contained on the Register of Protected Structures. It is currently let on a short term basis on the upper floor as a showroom and interior design shop and extends to approx. 208 sq.m. (tenant not affected). The lower level of this building briefly comprises 208 sq.m. and is vacant. It was previously let to Martone Press Limited who have relocated. There are two modern industrial units constructed on the site. They have between them a total gross external area of approx. 225 sq.m. and are currently let to a Gym on a short term basis (tenant not affected). All of the buildings are well maintained and in good condition. 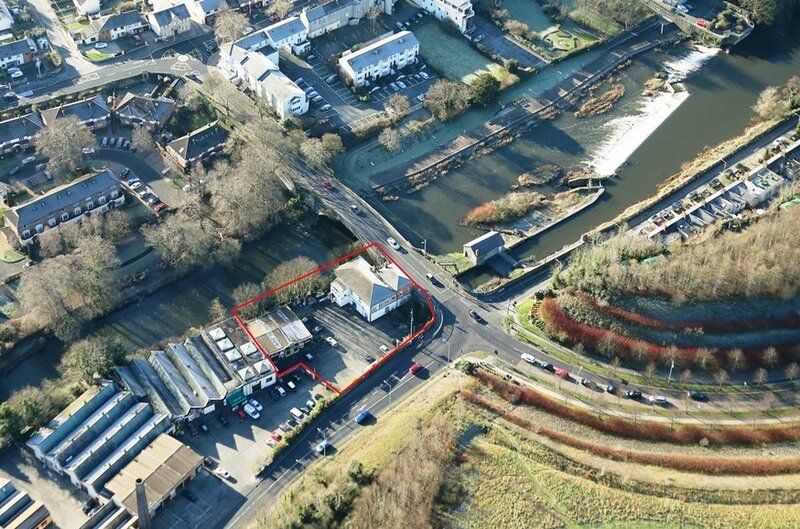 The property is accessed via a right of way through the adjoining Hills Industrial Estate. 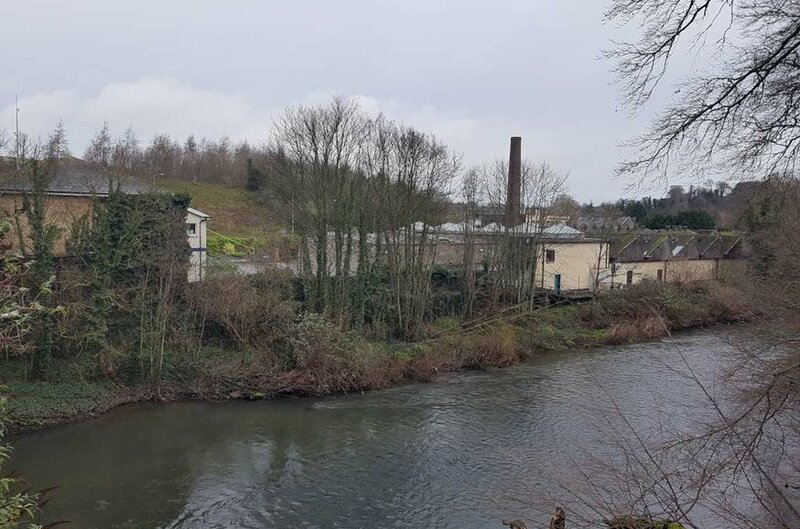 The sale includes an additional area comprising half the width of the River Liffey adjoining the river bank. 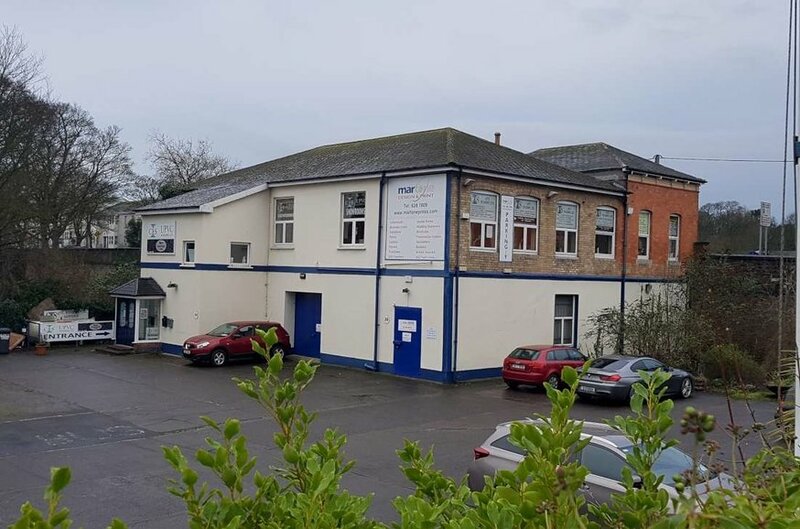 The property in sale comprises Units 33, 34, 39 and 40, Hills Industrial Estate. The property is held under freehold title. 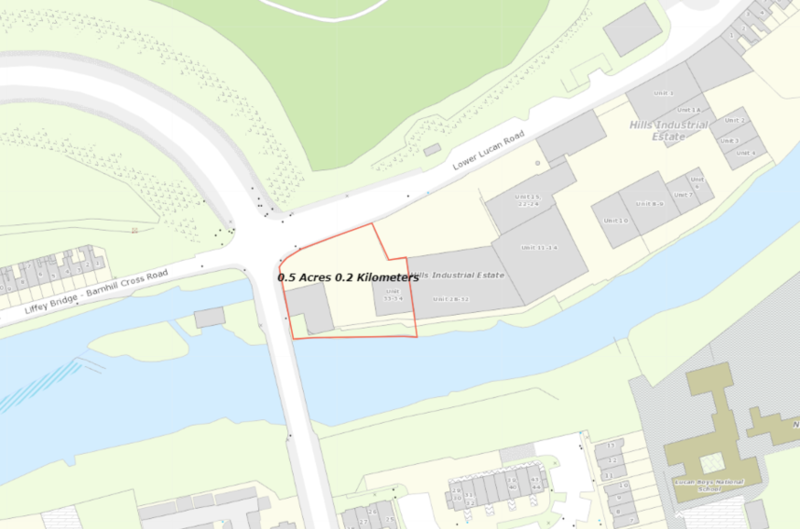 Access to the property is via a right-of-way through the Hills Industrial Estate. A service charge applies to the provision of services to the property in sale. Details of the current short term income and copy leases are available on request. Planning permission (Reg. Ref. SD09A/0233) was obtained on 14/4/2010 and subsequently extended by a further 5 years (expiring 13th April 2020) for (1) Demolition of 2 no. warehouses Units No. 33 and No. 34; (2) removal of external stair core at Units. 39/40 and creation of 4 no. new windows opes on south and east elevation and internal alterations to building at rear of Protected Structure; (3) 2 no. storey (over lower ground floor car park level) commercial building consisting of 1 no. commercial unit and ancillary office over; (4) 1 no. 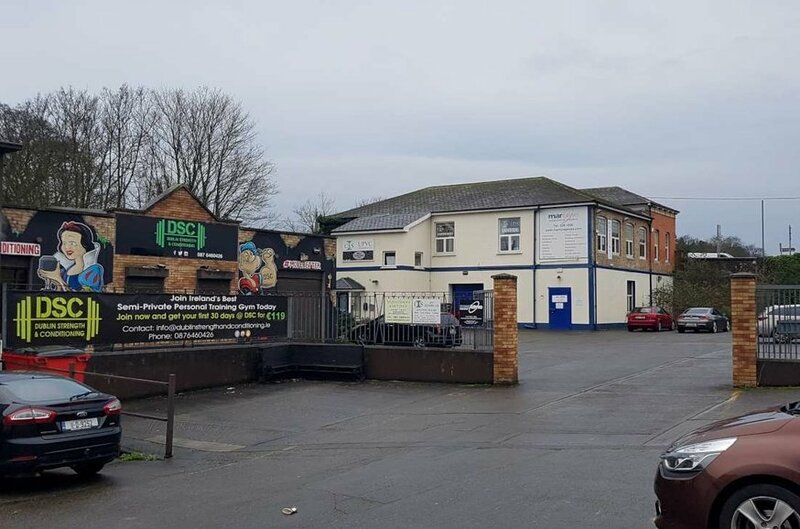 storey (over lower ground floor car park level) restaurant unit ancillary services and an open courtyard deck to connect; (5) upgrade of existing windows and entrance door of Unit No. 40 (Protected Structure); (6) provision of car park and bin storage at lower ground floor level; (7) permission for signage as indicated; (8) all ancillary site works. Access to the data site containing copies of the plans and planning permissions is available on request. Advertisements and Advertising Structures, Childcare Facilities, Community Centre, Education, Enterprise Centre, Health Centre, Home Based Economic Activities, Hotel/Hostel, Housing for Older People, Industry-Light, Live-Work Units, Motor Sales Outlet, Office-Based Industry, Office less than 100 sq.m, Offices 100 sq.m –1,000 sq.m, Offices over 1,000 sq.mi , Open Space, Petrol Station, Public Services, Recreational Facility, Residential, Restaurant/Café, Residential Institution, Science and Technology Based Enterprise, Shop-Local, Sports Club/Facility.